The Geoscience Teachers in Parks (GTIP) program is a collaborative effort between NAGT and the National Park Service to provide professional development for K12 teachers of geoscience. Elementary, middle school, and high school teachers of geoscience, as well as recent graduates who are prospective geoscience teachers are eligible to take part in this program. Since 1996, geoscientists have been invited as interns to national parks across the United States as part of Geoscientists-in-the-Parks (GIP), a program which grants interns the opportunity to collaborate with park staff and conduct in situ research on various aspects of the park to create summaries, inventories and surveys for park staff, and field guides and interpretive talks for park visitors. Now, parks are inviting teachers as well. 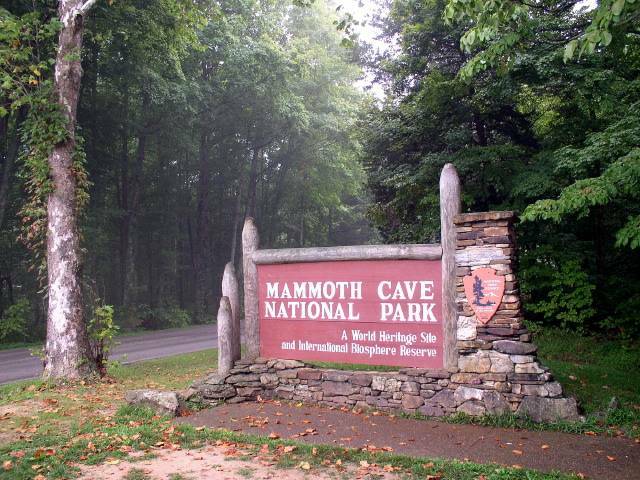 In 2006, NAGT (National Association of Geoscience Teachers) expanded upon this program by providing funds to get teachers in Mammoth Cave National Park to learn from and collaborate with park personnel, local university staff, contracted researchers, and park partners. When possible, each "Geoscience-teacher-in-the-park" will be paired with a "Geoscientist-in-the-park." Interns gain experience in field, lab, and classroom. Because this is a relatively recent creation, the program continues to develop. Teachers may apply to be a part of the Geoscience Teachers in the Park program by completing the online application. Application Deadline for Internships: March 15. Deborah Sherfey ('08) will be conducting off-trail cave tours on September 4th and 5th for her class of 48 students so that they may observe cave developments resulting from Karst features, explore un-developed cave passages, examine fossils, and get a sense of difficulties experienced by the cave's first explorers. Lisa Pack ('08) plans to set up a scavanger hunt around the school building, teaching her students how to use GPS in order to locate the points. "What is a scientist?" lesson plan developed by '07 interns challenges stereotypes and aims to "ignite an interest in science among their students." 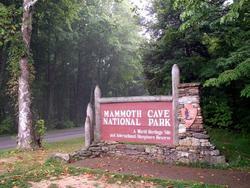 Many interns volunteer to return to Mammoth Cave National Park. Continued involvement can take whatever form the intern imagines, enabling teachers to assist future interns, present to the community and to audiences at Western Kentucky's Universities, shape the development of the project, and give their students hands-on learning at both the Mammoth Cave National Park and Mammoth Cave International Center for Science and Learning (MCICSL).